Q: Where do crawfish come from? A: From the ponds on our farm. Q: What does crawfish taste like? A: Like chicken. LOL. No, they don't taste like chicken but do taste a little like lobster. They're great and you won't be disappointed. 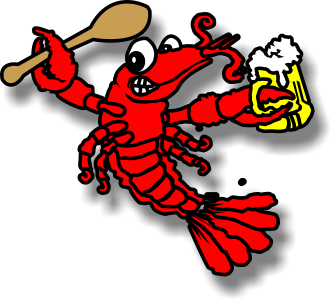 Q: What is purged crawfish? A: One that is held in freshwater for 24-48 hours. A: Yes, large medium are normal sacks and number 1 select are available also.